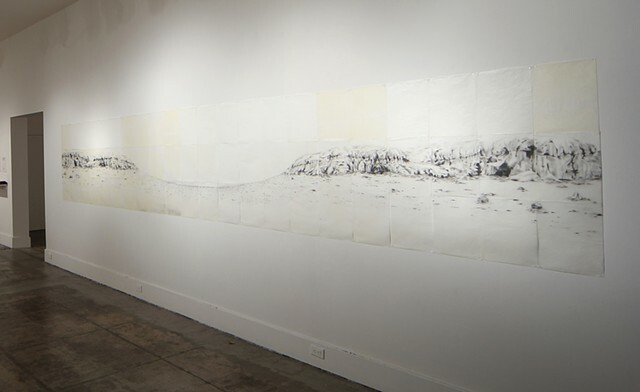 All of my drawings are made of places where I have walked and wandered. 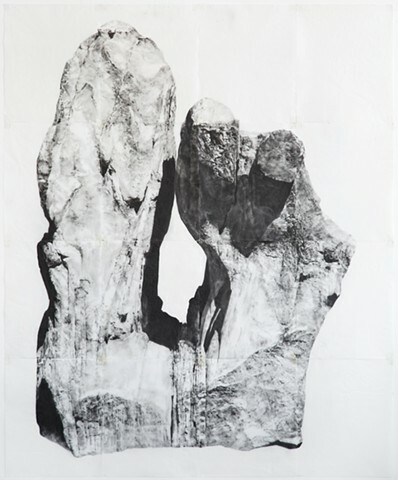 Revealed erosion and rock formations make up most of the imagery. 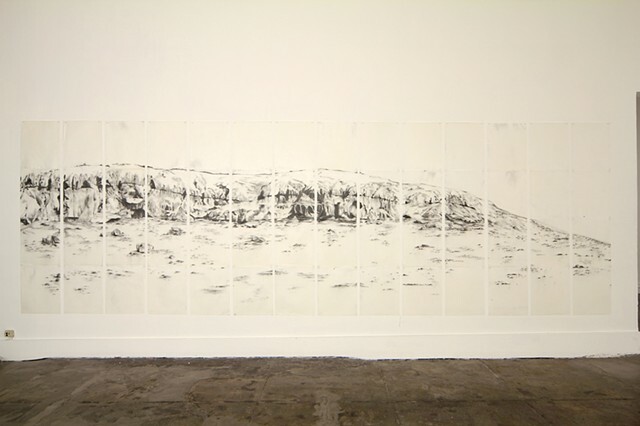 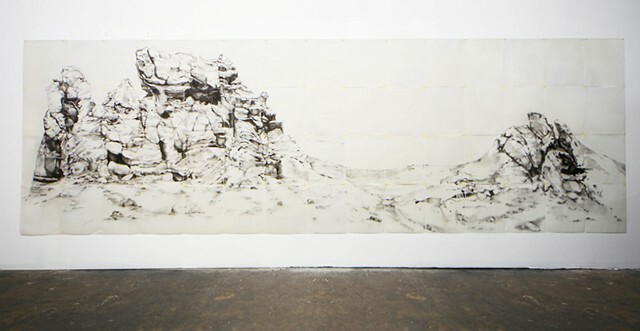 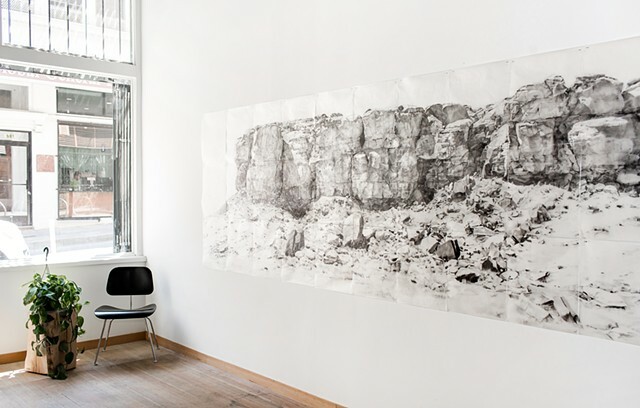 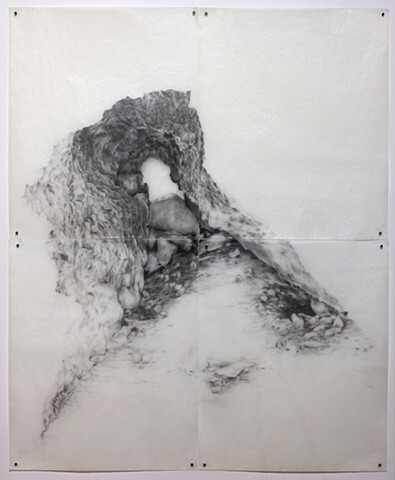 The drawings are created on multiple sheets of tracing paper with powdered graphite, and then sealed in beeswax. 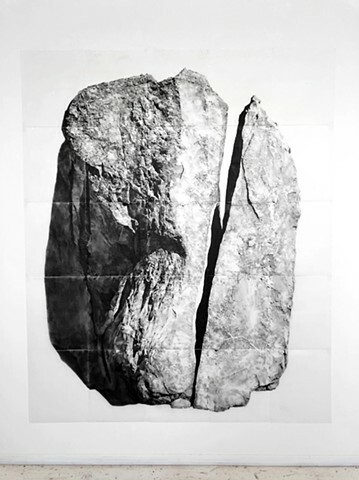 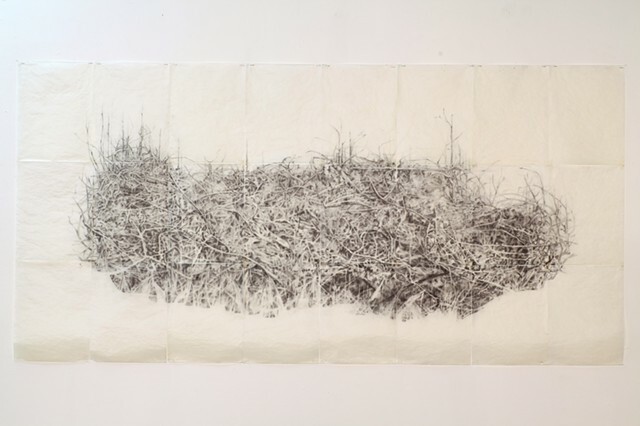 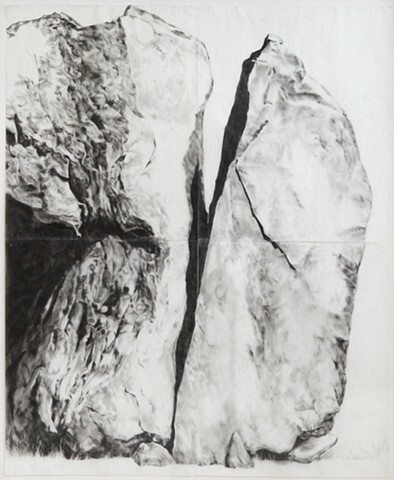 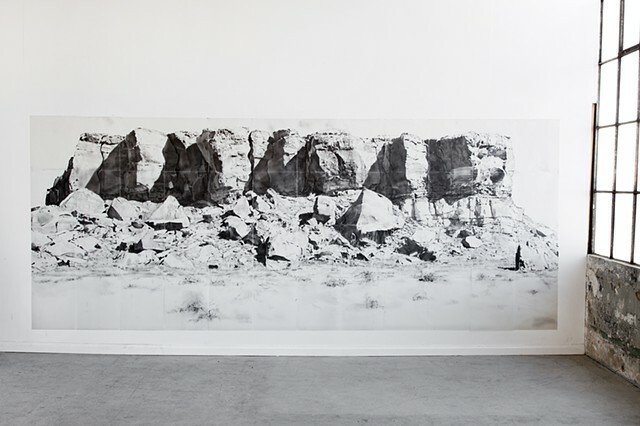 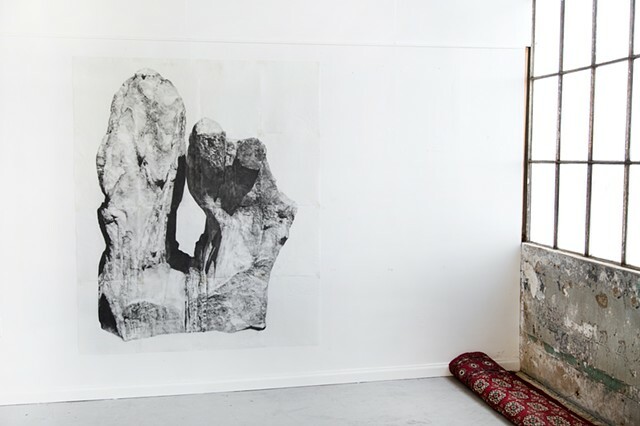 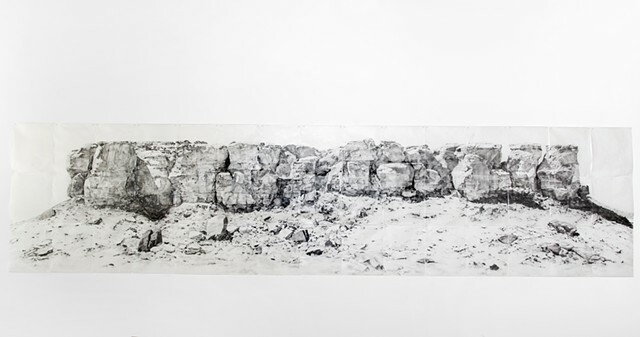 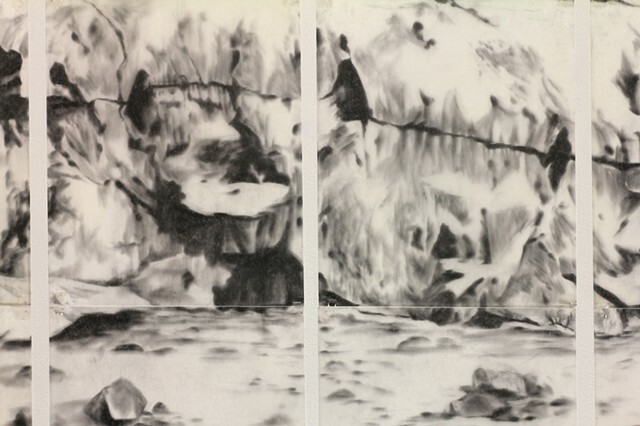 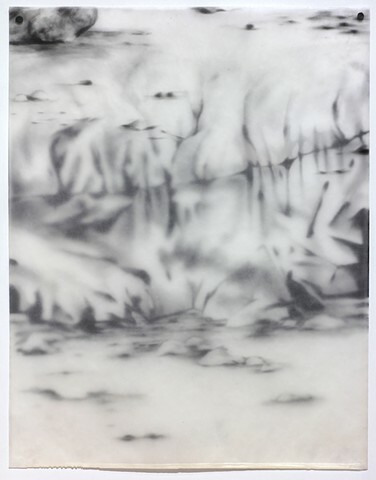 The result is a luminous synthesis of graphite, wax, and paper; natural form and subjugated grid.